COMMENTS: Bought on a whim to make some soap bars for hunting with the dirt fragrance. worked very well. COMMENTS: As others have found, these moulds seem much larger than their 4 oz capacity would suggest. They are a perfect size and shape to give as presents in my opinion, and are even easy to wrap. This firm are marvelous: the lady that I dealt with was charming and the postage to England was rapid and fuss free.I'm delighted. • Decent size, different, easy to use. COMMENTS: I love the ease of the silicone!! COMMENTS: I use this mold for MP soaps. I is sturdy and unfolds easily. "Euro round silicon mold 1614"
COMMENTS: I like to use different shapes for different products, so this is a perfect fit for my face soaps. It gives a thick size bar in a shape that fits nicely in the hands. The shape is a neutral fit for men and women in my opinion. Easy to use and unmold. COMMENTS: I love this silicone mold because it unmolds easily and creates a bar of soap with a lovely, shiny surface. This size fits perfectly in my hand and yet is large enough to last quite a long time. Thank you WSP! COMMENTS: My m&p soap comes out beautiful every time! The shape is a modern classic that fits well in your hand. "Makes a beautiful bar of soap!" 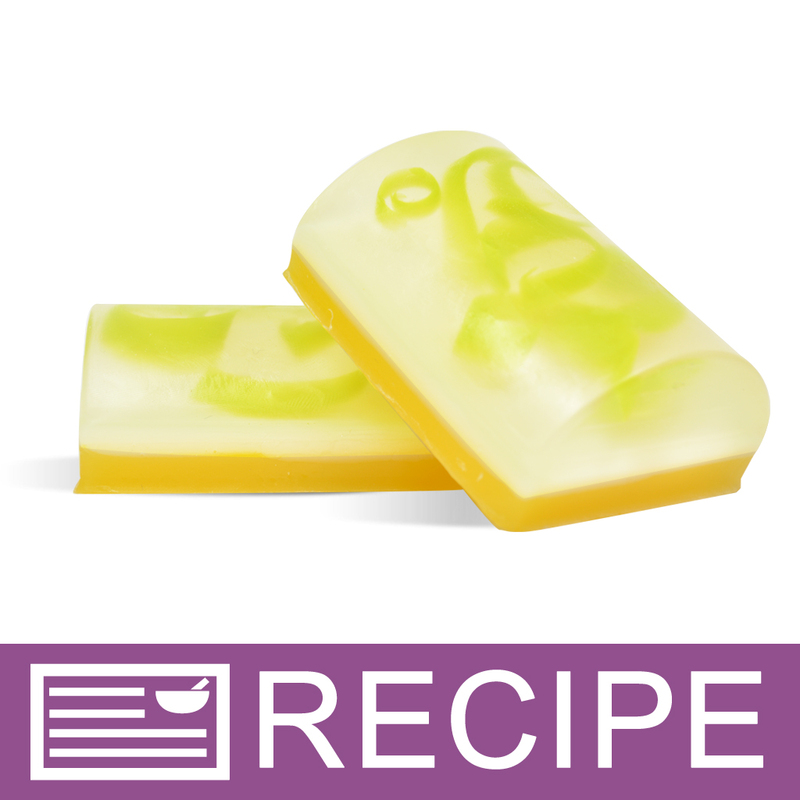 COMMENTS: These silicone molds work great for my cold process salt bars! They are super easy to unmold and give my soaps a beautiful smooth and shiny finish and the bars are the perfect size! They are very sturdy molds and I look forward to making many more batches with them! 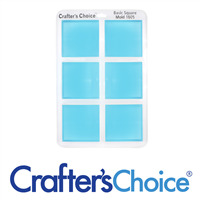 "Any mold from Crafter's Choice is excellent"
COMMENTS: Crafter's Choice is excellent! Their molds are heavy duty and intended to last through years of use. This particular euro round mold has 4 cavities, and each cavity holds 4 ounces. The bar sizes are convenient for holding in your hands. I like that one side is flat, while the other is round. COMMENTS: I love these silicone molds. They unmold easily and create a bar of soap with a beautiful shiny surface. I am especially fond of this size. It fits perfectly in my hand and yet is a large enough to last quite a long time. COMMENTS: Awesome mold. Great for making Watermelon sliced soap! COMMENTS: I love the looks of this mold! It produces uniquely shaped soap compared to your standard square bar. COMMENTS: I like silicone molds and this is no exception. The 4 oz bar size was perfect for my product line. This mold is easy to handle and will be great to use for many batches to come. "Wonderful Mold Will Order Again!" COMMENTS: I ordered this mold for my salt bars, and made them using CPOP, the mold performed excellently. Because the mold is semi-transparent was able to track any overheating issues in the oven and the soaps popped right out after they were cooled. COMMENTS: This soap mold is wonderful! It is nice and sturdy, fits into your hand comfortably, unmolds easily and leaves soap shiny! I'm glad I purchased this! • Makes a nice bar! COMMENTS: I love this mold. Makes perfect 4oz bars that are easy to unmold. I need to pick up a few more. Would highly recommend. "When using a MP soap in the 2lb container, how many bars will it make this this mold. " Staff Answer The average bar weight for this mold is 4 oz. so you should get approximately 8 bars with a 2 lb tray of soap. "What packaging do you recommend for this soap shape?" "Will these fit into any of the WSP soap boxes?" Staff Answer No. These finished bars will not fit into any of our soap boxes.